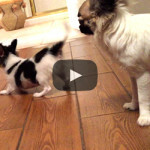 Cute & crazy Chihuahua’s Josie Jo and Pippi Squeak are at it again as they smoke the competition! 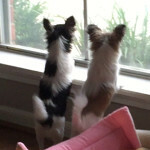 Fast as fast can be, you’ll never catch these Chi’s! 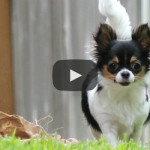 Our cute little chihuahua puppy, goofy Pippi Squeak was caught on camera breaking and entering into the rear window of her sister’s house! We got just the ‘tail’ end of her hysterical criminal act, crazy girl! 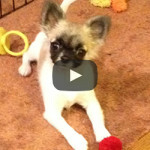 Josie the Chihuahua meets Alley Cat! On Josie Jo’s first Halloween, she comes across a very scary Black cat! Escape beats curiosity for her! Josie & Pippi save ChiLand from a ZhuZhu invasion!